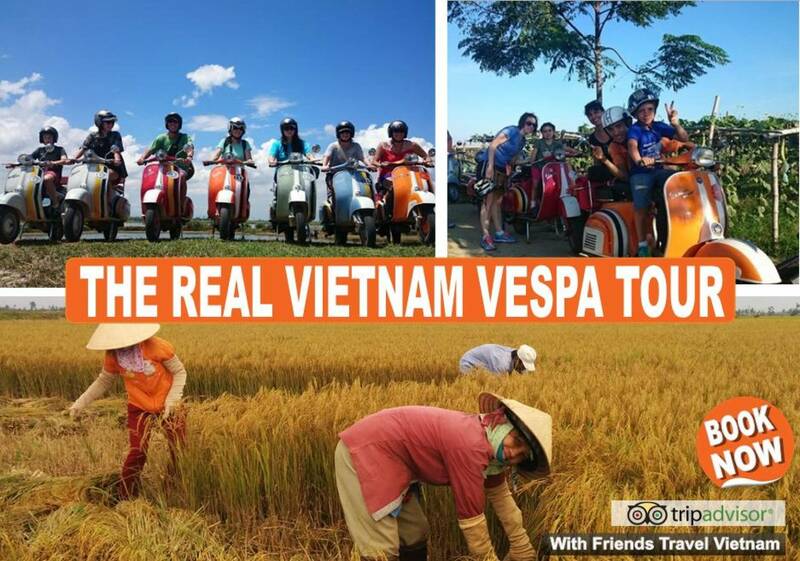 Unique Vespa Motorbike tour | Once a busy trading port on the Silk Road, the UNESCO recognised ancient town of Hoi An is now very popular with visitors keen to see the beautifully kept trading houses and temples from another era, and delve into the vibrant food culture. 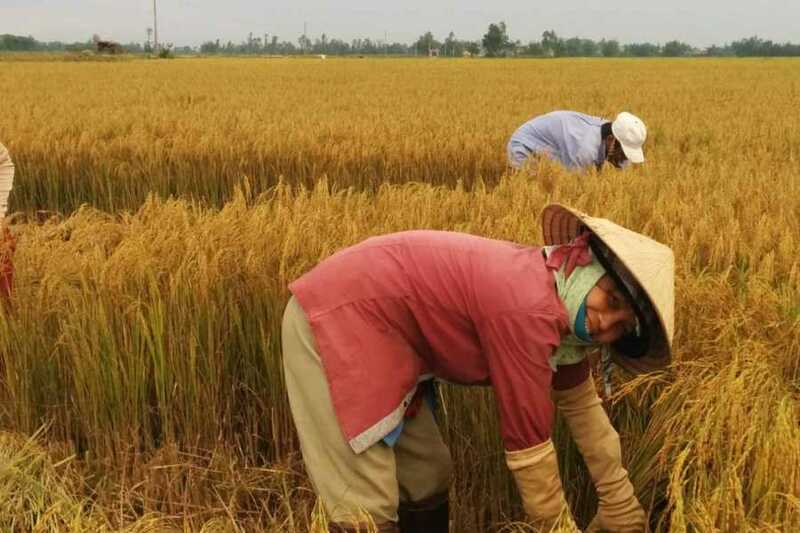 The surrounding area boasts beautiful beaches, rivers, waterways, mountains, and a stunning rural countryside of lush rice paddies, fertile farmland and colourful villages, with a history dating back over a thousand years to the Cham Kingdom’s holy land at My Son. We offer serveral departures per week but places fill up quickly so please book in advance! 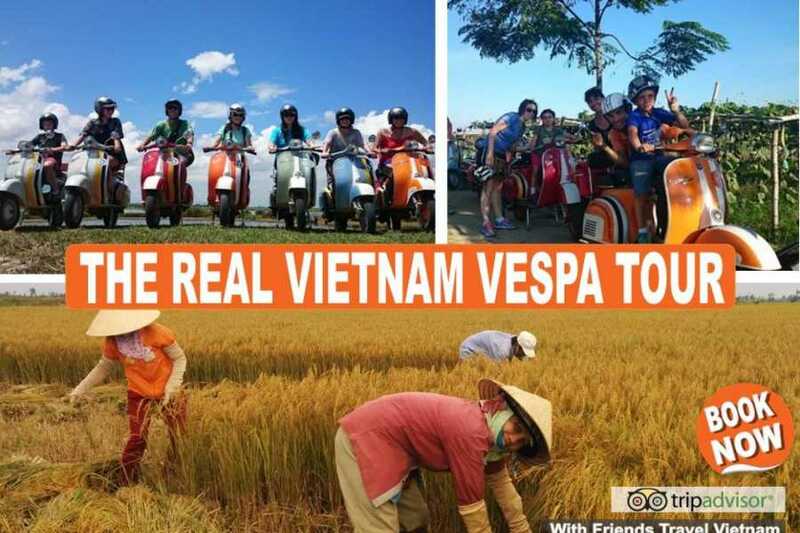 Are you ready for "The Real Vietnam Vespa Tour"! 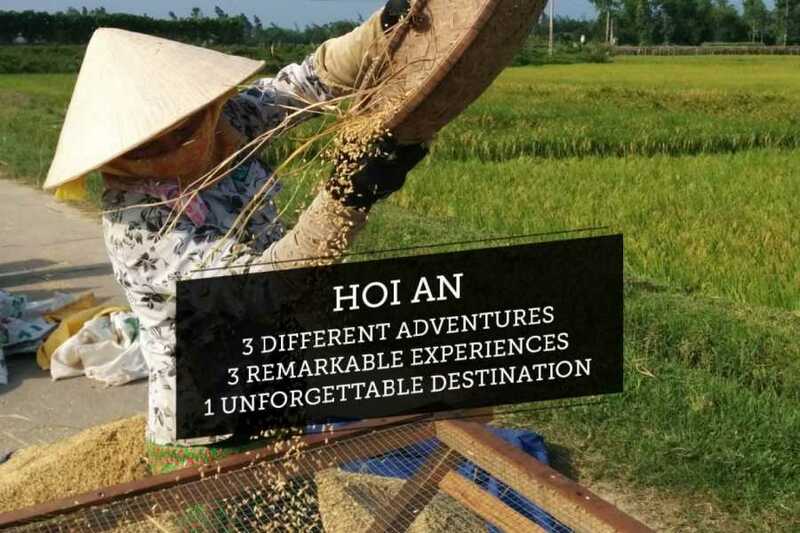 See Hoi An as the locals do with our Rural Village Experience. Relax as we bring you through breathtaking countryside and waterways while stopping to see families & their crafts. Setting off from Café Zoom in Hoi An, we head out West along the banks of the Thu Bon River, first stopping at a bustling local fish market before heading into the rice paddy rich countryside and local villages, stopping where a local family make rice crackers. 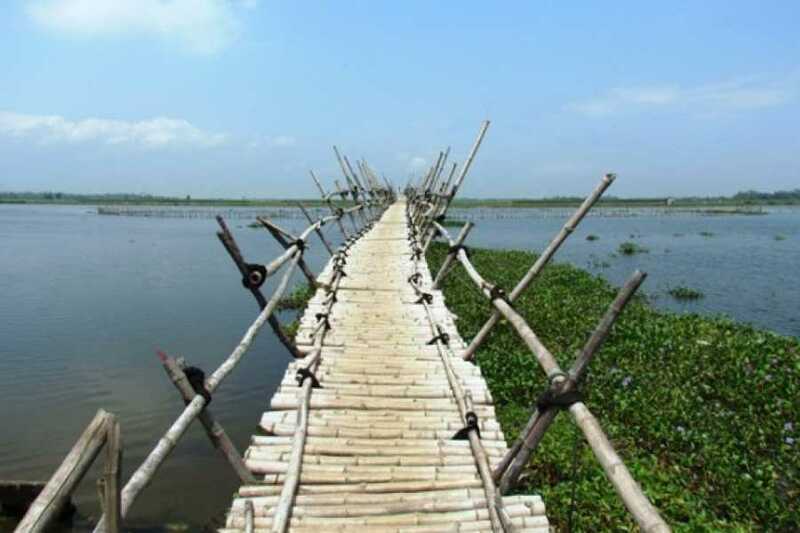 Crossing a bridge over the Thu Bon River takes us through more quiet villages where we learn how to make the local fresh rice noodle and then into beautiful farmlands. We take a break for some local lunch while surrounded seasonal vegetables in the picturesque fields of corn, aubergine, sweet potato, cucumbers and herbs. 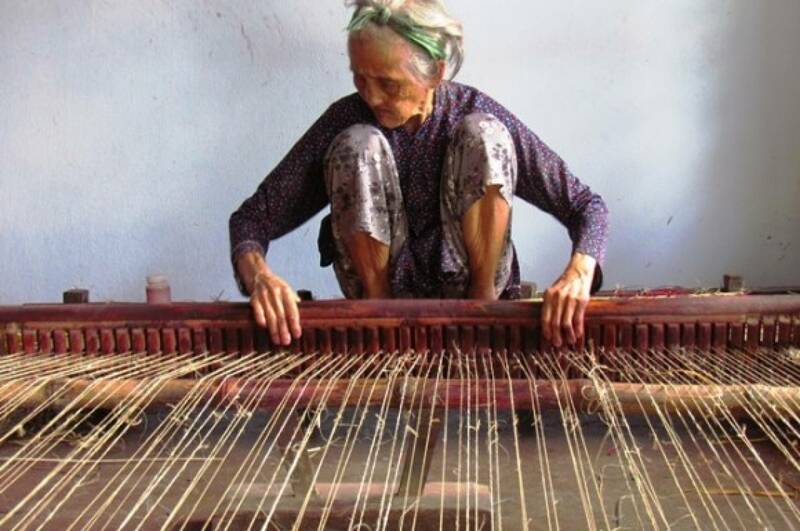 As the sun starts to go down, we set off through the rice paddies, passing duck farms, visit a local mat weaving family and then ride along by the prawn farms and over the river to sample the local coffee in a riverside café. Then it’s a short ride to Cam Kim Harbour and on board the local ferry into Hoi An as the sun begins to set on this beautiful heritage town. The information below is intended to assist you as you consider your travel options for Vietnam with Friends Travel Vietnam. 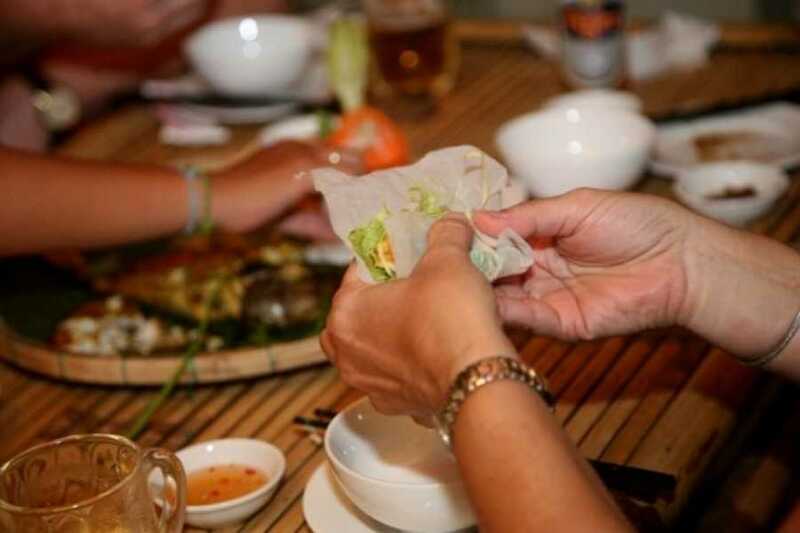 In addition to the detailed itinerary each tour has been supported with some useful information to provide you with an overview of your accommodation & meals, all things money, passports, visas, vaccinations, insurance, clothing, personal equipment and much more to help you with your travel preparations.